Normally the cost of an automobile in the United States is around $30,000 and if your car is on a bank loan, it will cost you around $430 a month payment for six long years. With the addition of taxes, fee and insurance, the monthly installment rate goes up to as if you are paying for home mortgage. Even though so much money goes into the funding of cars, people who own one do not bother to take proper care of their vehicles. It doesn’t make any sense, does it? Proper maintenance of a car is absolutely a must as it increases the longevity of your investment. If people simply ignore and neglect their cars, it is only a matter of time before rust sets in and corrodes the internal and external metal sections of the vehicle. It is as if you’ve bought an expensive house and letting it get infested with termite, roaches, rats and other pests. 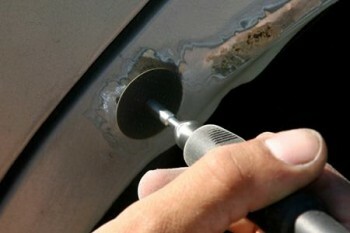 You can prevent your car from rusting by using simple measures of applying rust removal products. Rust is a common problem and all vehicle owners hate it, but it is quite surprising that despite this problem, people do not bother to prevent it. It has been proven that rust is a common problem in the areas where the proportion of salt and salty ocean air is present. The places which have high humidity often help in accelerating this issue. Rust can also be seen in places which are highly industrialized. Though all cars sold by the car manufacturers are properly protected by paints and primers, this is not a fool proof solution. Due to wear and tear and scratches, sooner or later, the metal will come into contact with the salt and water and rust will begin to form. The salt and water combination is mostly responsible for causing harm and weakening the car external finish as it helps the metal to lose its electrons. This causes the metal to rust and erosion begins. Proper polishing of the paint finish every two weeks can get rid of such a nuisance and strengthen the paint from the inside out. Regular cleaning of the salt underneath your car will ensure that it does not get accumulated on the car body. This will go long way to reduce the recurrence of rust and corrosion. There are many such paint maintenance options available in the market like car polish and wax which act as a lubricant. This not only gives your car a new look but simultaneously takes care of the rust problem also. These lubricants seal the surface and do not allow moisture to get deposited on your car. For best results, clean and wax your car 2 – 3 times on a weekly basis. Those who use car wax and polish regularly have less problems of rust on their cars. Even small scratches on your cars should also be taken care of immediately. You must buy a small quantity of the same color paint and apply it on the affected area with a small brush or a small toothpick. Ensure that you cover the entire scratched area to prevent the base metal from being exposed to air, salt and water. The combination of these 3 elements is the perfect condition for rust to set in. A stitch in time saves nine, just a small maintenance task will increase the life and look of your car. These are all great maintenance tips; a car cover can also help prolong the lifetime of you vehicle’s condition.